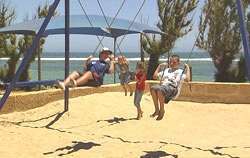 Horrocks Beach is a unique destination which offers a quiet and unspoilt holiday atmosphere. Our guests enjoy the friendly and peaceful atmosphere of the park. Horrocks was a traditional holiday, camping and fishing village for early settlers in the 1850s. Today it is popular with those who enjoy the outdoors and fishing, nature and history. The atmosphere is pure relaxation with everything within walking distance. 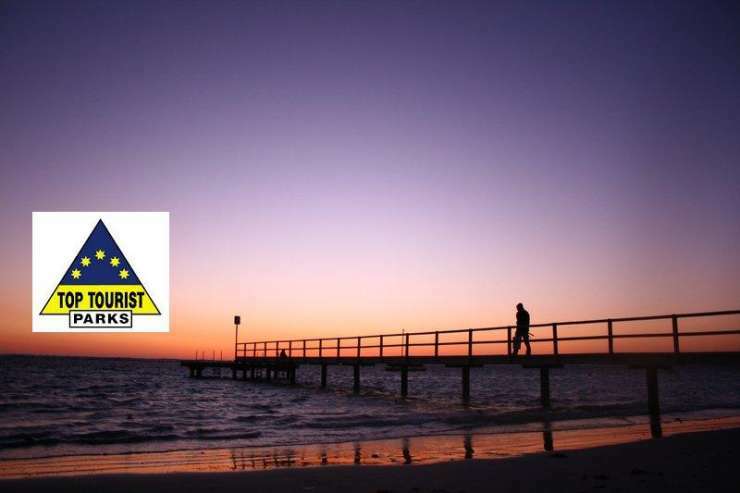 The recreational jetty provides safe and convenient fishing. A pontoon is moored during the warmer months for tourists to use while swimming in the protected bay. 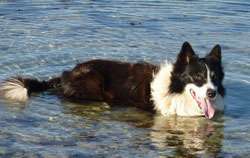 The townsite is surrounded by reef and limestone escarpment and there are rock pools and dunes to explore. There is fantastic fishing, snorkeling & surfing. With being one of the places in the North Region Horrocks provides 4WD access to beaches such as Little Bay and Bowes River. 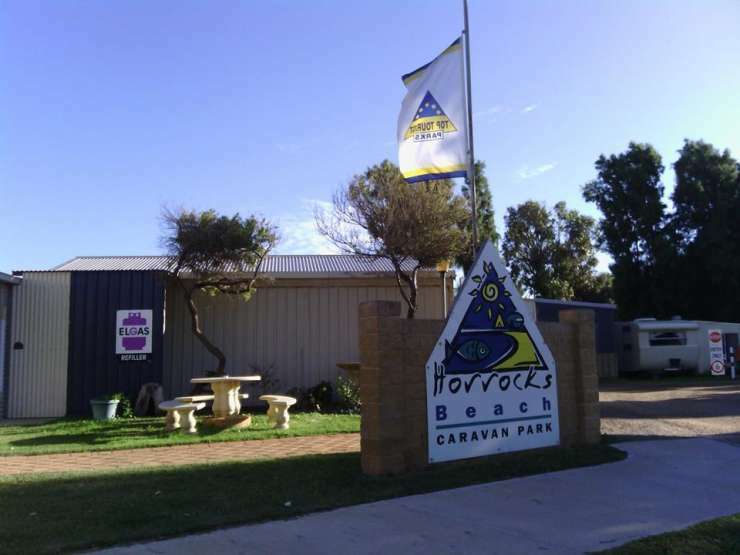 Horrocks Beach Caravan Park is located off North West Highway, uniquely based between Kalbarri & Geraldton, Western Australia. 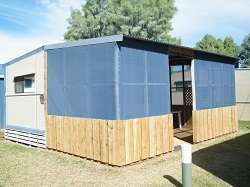 Horrocks Beach Caravan Park has a range of accommodation to choose from including:.........Park Cabins & On Site Vans.......... Our Park Cabins and On Site Vans are all self contained and sleep up to 6 people. 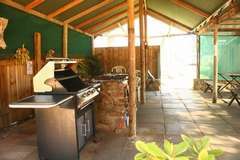 They all have reverse cycle air-conditioning, cooking facilities including microwave, television and sheltered outdoor area. 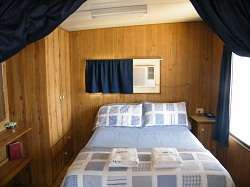 Some have a separate bedroom and can be requested on booking.......... Our Cabins & On Site Vans do not have Ensuites. They are all located within close proximity to our shower and toilet block, which is of course kept very clean and tidy.......... All Cabins and On Site Vans come with sheets, pillows, doonas & towels (for queen size bed only). Additional bedding can be hired.......... Caravan and Camping Sites.......... Our park offers beautiful grassy, shady sites with plenty of room for caravan, annex and vehicle or tent, boat and vehicle. If you expect to need additional parking area please request extra space when making your booking.